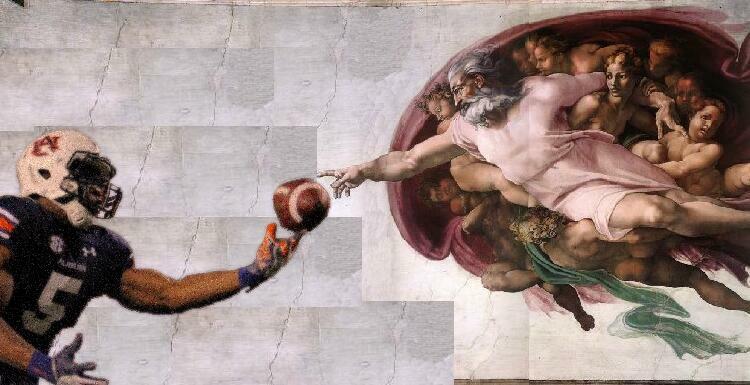 Now for one of God blocking the punt(s)… maybe call it 17-Sistine? Related: There’s already a painting of Ricardo Louis’ miracle catch. Filed Under: Featured, Photo of the Day: Auburn Scenery, Screen Caps, etc.